Although there has not been any proper transportation and distribution system for hydrogen, the ability to produce this fuel from a diverse range of sources and its clean nature has made hydrogen a suitablealternative to fuel. 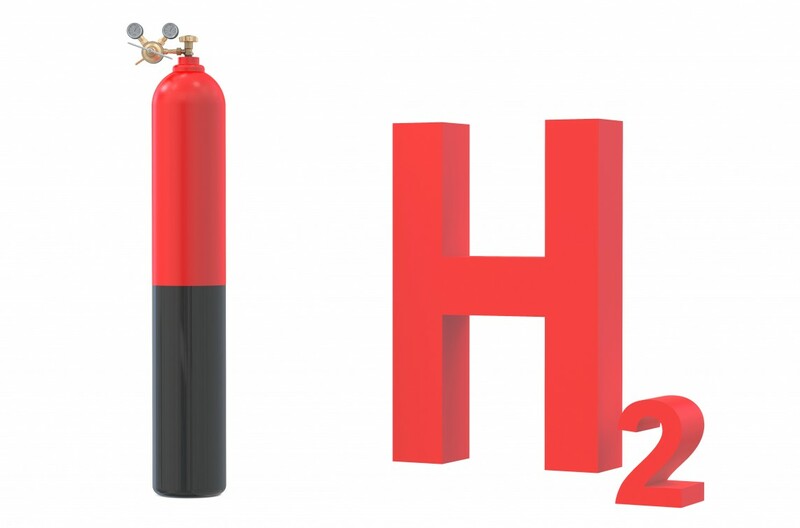 Hydrogen is one of the simple and lightest gas fuels available in atmospheric pressure and atmospheric temperature. Hydrogen fuel is not the same as pure hydrogen gas, it also has a small amount of oxygen and other materials. Hydrogen fuel sources include natural gas, coal, gasoline and methylic alcohol. Other processes for the production of hydrogen are the process of photosynthesis in bacteria or algae, or splitting the water into two hydrogen and oxygen elements by using electricity or direct sunlight radiation on the water. In the industry and chemical laboratories, hydrogen production is typically carried out using two methods: 1- Electrolysis 2- Synthetic gas production from steam regeneration or incomplete oxidation. In electrolysis, using electrical energy, water molecules split into hydrogen and oxygen. Electricity can be provided from any source of electricity that includes renewable fuels. The US Department of Energy has concluded that using electrolysis to produce high amounts of hydrogen is not appropriate.in the future . Another way to generate synthetic gas is to rebuild natural gas vapor. In this method, other hydrocarbons can also be used as supplies of materials. For example,coal and other organic materials (biomass) can be converted to gas and used it in the process of steam regeneration for the production of hydrogen. On the other hand, as fossil hydrocarbons are finite, it is better to focus our attention on the use of renewable resources. Hydrogen gas can be produced both from renewable sources and from non-renewable sources. Today, the production of hydrogen gas from renewable sources is rapidly expanding. However, the production of hydrogen gas from non-renewable resources, especially from fossil fuels, is diminishing due to the limited availability of theresources. In the nature, anaerobic microorganisms produce hydrogen gas in the absence of oxygen by using the fermentation phenomenon, but the amount of this gas is slightly low and it is not economically feasible for industrial and domestic, … uses. Hydrogen gas is produced by fermented reactions of living microorganisms, especially bacteria and yeasts on biomass. Biomass is a renewable source which is obtained from materials such as fodder, plant waste and animal waste. In the process of producing hydrogen gas, anaerobic bacteria convert the organic matter and water into hydrogen gas using the fermentation phenomenon. There are two types of fermentation for the production of hydrogen by bacteria: an optical fermentation in which the light source is needed, and the other is fermentation in darkness which does not require light. In these reactions, many carbon sources are used, that all of them are provided from biomass. Therefore the efficiency of hydrogen gas production must be increased by using some methods. One of the ways that can increase the efficiency of hydrogen gas production is genetic variation in the genome of these bacteria using genetic engineering and biotechnology. The other method is to use a combination of aerobic and anaerobic bacteria. In this method, since the anaerobic bacteria produce organic acidsin the fermentation process, the reaction environment gradually becomes acidic and PH decreases and therefore the production of hydrogen decreases. But when aerobic bacteria are present in the environment, they use organic acids and remove them from the environment; therefore, the production of hydrogen gas will increase. The US Department of Energy is pursuing two major programs to develop hydrogen utilization, one is the Department of Energy’s Hydrogen Program and the other is Hydrogen Technology Information Network. Hydrogen is the third most abundant energy on Earth. It is found primarily in water and organic compounds. Hydrogen is produced from hydrocarbons or water, and it is used as a fuel, or it is used to generate electricity, or it generates water by combining oxygen again. Hence, due to the high capability of producing energy in this fuel, many efforts have recently been made to replace it with fossil fuel. Hydrogen is also safe from the point of view of safety and is not more dangerous than other common fuels for transportation, maintenance and use. However, safety issues remain, as one of the most basic topics in the use of hydrogen energy. The world’s prevalent standards provide safety for its use by rigorously designing and performing multiple experiments. In the area of storage and transportation, there are many standards for all related equipment. There is no proper distribution system for hydrogen as a fuel. Although pipeline transmission is usually the most cost-effective way to transport gas fuels, there is currently no proper pipeline system. Hydrogen transfer is carried out, in particular, through a tank and gas tankers. The use of hydrogen as a fuel requires an infrastructure for transport and maintenance, and attention to safety and economic issues. The vision of creating a substructure that uses hydrogen as a source of energy has created the concept of being economically viable, which is the best way to generate more demand for energy production and consumption, since hydrogen production sources are very cheap and available. Hydrogen has a high potential for energy production and the amount of pollution caused by the use of this fuel in the environment is very low. This fuel is more renewable, clean, and more abundant source than fossil fuels, and it can have great application for power plants and the transport sector.